Infinix Hot S4 has been unveiled today and it packs impressive specifications, triple rear camera and sufficient RAM storage. 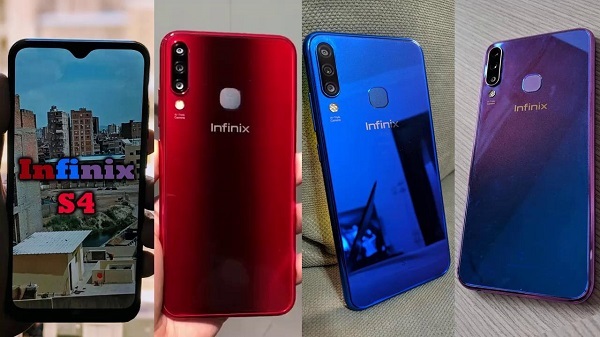 Infinix unveiled Hot S4 and S4 pro and it features a 6.26-inch IPS LCD display with a notch, MediaTek MT6762 Helio P22 SoC, 6GB of RAM + 64BGB of storage, a triple rear camera setup, housed by a 4,000mAh battery capacity. Infinix Hot S4 runs Android 9 Pie out of the box, and comes with triple rear camera 13MP + 8MP + 2MP rear camera and 32MP front facing camera. Display: 6.2 inches, 1520 x 720 pixels, 19:9 aspect ratio, IPS TFT, FullView curved glass screen with waterdrop notch. So, it’ll not support MTN, Airtel and Glo LTE bands?